The fixed-term position is available for three years and will begin on 1 November 2018 or as soon as possible. Currently, the regular weekly working hours for a full-time position (100%) are 39 hours and 50 minutes. The available PhD position is integrated into the recently funded DFG Priority Programme (Schwerpunktprogramm) “Rapid Evolutionary Adaptation: Potential and Constraints” (SPP1819). This research program brings together research groups from different backgrounds in biology to advance our understanding of the mechanisms and the evolutionary significance of rapid adaptive changes. The ecological success of ants is a prime example for the role of innovation in adaptation and evolution. Intriguingly, ants and other social Hymenoptera have the highest rates of recombination and genomic rearrangements in all animals studied so far. This PhD project aims to explore the evolutionary significance of these processes in ants. 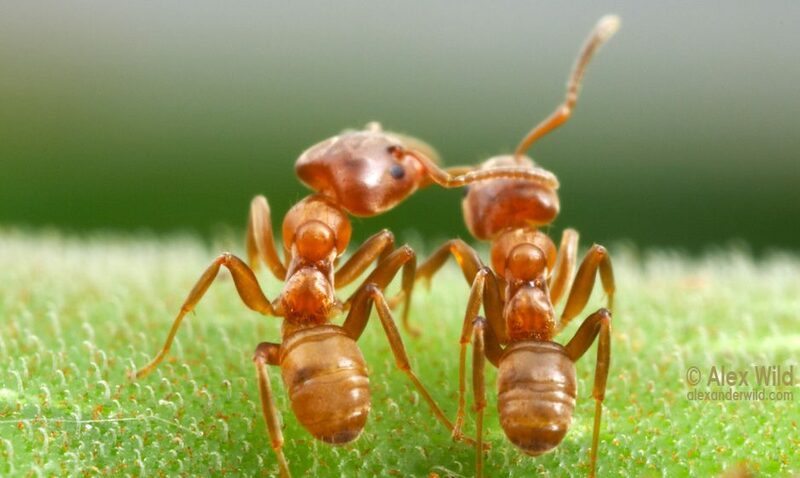 The project is focused on the invasive ant Cardiocondyla obscurior, and the successful candidate will study the genome evolutionary and population genetic mechanisms underlying rapid adaptation to novel habitats in this species. Cardiocondyla obscurior has successfully established populations across the tropics despite expected low genetic diversity in incipient populations. The goal of the PhD project is to understand to what extent nonhomologous recombination and transposable elements contribute to genetic diversification by generating structural variants – the largest source of inter-individual genetic variation, which can have substantial phenotypic consequences. To this end, the successful candidate will collect ant colonies in the field, maintain live colonies in the lab, conduct behavioral and wet lab experiments, and, most prominently, generate and analyze population genomic data. Thus, this PhD thesis involves field work, wet lab work, and computational work, with a strong emphasis on the generation and analysis of high-throughput sequencing data. The successful candidate will be supervised by Lukas Schrader (University of Münster) and Jan Oettler (University of Regensburg) and will thus work in collaboration with other members of the research group in the Institute for Evolution and Biodiversity at the University Münster (wwu.de/evolution/molevolsocbio) and in the Institute for Evolution at the University Regensburg (janoettler.wordpress.com). Both groups have a long history of research collaboration, focusing on the study of evolution of social insects. Regular visits between both groups and meetings within the scope of the DFG Priority Program will provide the framework for a successful PhD project. Applicants are required to have an outstanding master’s degree or equivalent degree in biology or a related field. Applicants must also show a strong interest in evolutionary and computational biology and show motivation to be trained in the analysis of high-throughput genomic data. Other requirements are the capacity to formulate and solve research problems and effectively interpret research results, as well as motivation to conduct research at both research groups – at the University of Münster and at the University of Regensburg. Finally, fluency in written and spoken English is required. The application should be compiled into a single PDF file (max. 5 MB), which should include (1) a CV including information about former academic education and degrees, professional experience, publications, fellowships/awards, conference contributions, languages, and further relevant skills and abilities, (2) a cover letter stating the candidate’s motivation to join the project, (3) the candidate’s master’s thesis abstract, and (4) two letters of recommendation from former supervisors. Applications should be sent by email as one PDF file to Dr Lukas Schrader (Lukas.Schrader@wwu.de) and Dr. Jan Oettler (joettler@gmail.com). The deadline for the application is 31 August 2018.